Vibrato effects are rarely used, but this one is different. 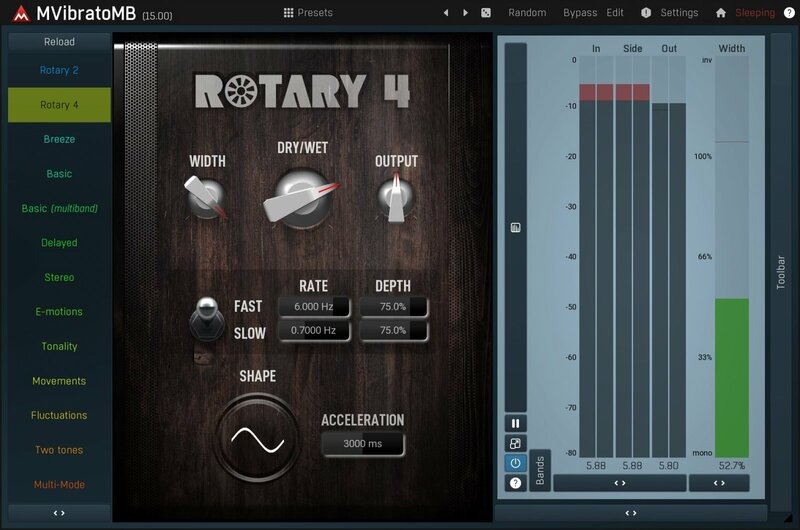 MMultiBandVibrato is also a powerful rotary simulator, which is perfect for everything from organs to guitars. And the audio quality is just the best on the market. MMultiBandVibrato combines the vibrato effect with a tremolo and multiband design. This provides enough power to build a 2-speaker rotary simulation, like the famous Leslie speaker. But why to stop there, when you can have a 6-band rotary! 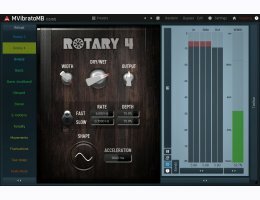 With up to 16x upsampling and sinc-interpolation MMultiBandVibrato is simply the best sounding rotary simulator on the market.